At the crossroads between Lazio, Umbria and Tuscany lies the realm of Tufo, a volcanic rock very crumbly that can be processed with ease, as well as too subject to erosion of weathering. The presence of this element has marked the geological landscape in a unique and favored human settlement from the Iron Age, until the era of the Etruscan that were building necropolis and road ways. 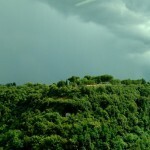 The area of ​​the tufo is the destination, since many years, of relaxing and special holidays made unique by the beautiful scenery, the friendliness and priceless peace and tranquility. The towns of Sorano, Sovana and Pitigliano are some of the jewels of the Maremma del Tufo area. Their origins date back to Etruscan times witnessed by the great necropolis which are abundant in the area. The Archaeological Park Città del Tufo in Sovana offers the opportunity to explore the natural landscape and the necropolis situated along the rivers of the area, those lands are often surrounded by vegetation that suddenly reveals monumental tombs including the Ildebranda tomb and the Sirena tomb. Visiting the Open Air Museum Alberto Manzi in Pitigliano you can live an unique experience: discover how people lived in the city of the living and those lived in the city of the dead: two sections of the museum where several homes have been rebuilt housing a demostrative tomb which leads you into the middle of history, to perceive the emotional dimension of the journey in the afterlife. 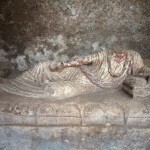 A more recent attraction of the area is definitely the Tomb of winged demons, in Sovana, located in the Archaeological Park Città del Tufo; attributed to the late III century AD, represents the best example known today of the grave at newsstand shape with a character figure lying on the deathbed. Located in the center of a terrace of about eight meters wide, the tomb looks like a huge cubic block carved into the tuff, on whose front is made to the facade of a building at newsstands shape, characterized by a deep central compartment. Within this niche is represented, also carved in the tuff, a dead person lying on the bed with a friendly patera of libation in his right hand, which keeps intact the lining of polychrome finishing very unusual yet very interesting. The sculpture, in fact, remains covered with stucco and colors, carminian red to bare metal, and white for the tunic and mantle.